Vodafone and Last.fm have announced a partnership, a unity if you will, to give Vodafone users in Europe, India, New Zealand and our Australian friends access to the sounds of Last.fm and entry to its social networking music features via your cellular. So what this means to you the Vodafone user is, your new mobile application will use Last.fm’s scrobbling functionality to track your musical tastes in real time, whether great or downright bizarre, and build you an online profile based on your listening habits. This means you can spy on your friends listening habits too, providing they’re a member and have new music recommended to you based on your musical preferences. If you’re new to the happenings of Last.fm, you can simply register from your phone. 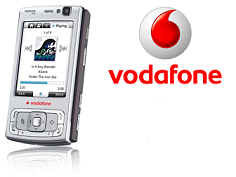 The application is available to download here to selected Nokia handsets – N95, N96, N78 and 6210. Other handsets will follow. So if this sounds like your cup of tea and you happen to own one of the mobiles above – knock yourself out.